Flags, Starbucks and Bamba: activists release video of creative protest in radical anti-Israel MP's city. Pro-Israel activists released a video of their recent "infiltration" of a city in northern England declared "Israeli-free" by radical left-wing British MP George Galloway. 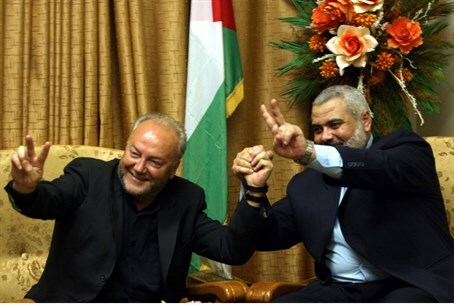 Scottish-born Galloway declared that the city of Bradford in northern England would not accept the presence of Israelis in an impassioned party speech last week, proudly stating that he chooses to live in an "Israeli-free zone." "We don’t want any Israeli goods. We don’t want any Israeli services. We don’t want any Israeli academics, coming to the university or the college. We don’t even want any Israeli tourists to come to Bradford if any of them had thought of doing so," he said. "We reject this illegal, barbarous, savage state that calls itself Israel. And you have to do the same." The remarks sparked a police investigation into the MP, who has a long history of anti-Israel bigotry and heads the British pro-Hamas group Viva Palestina - which in November 2013 had its charitable status revoked due to financial irregularities. The Jewish activists - including both British and Israeli citizens and led by Israeli-born Rabbi Shneur Odze - visited Bradford and waved Israeli flags, handed out Israeli-made snacks and made a point of being served at a local Starbucks after showing their Israeli passports. Contrary to the declaration by their city's extremist MP, there was no policy to discriminate against Israelis, and most passersby were friendly - with the exception of a small group of anti-Israel activists who mounted a counter-protest at one point. "I must confess to being rather anxious as to what kind of reaction we’d get," said Odze. "However, I’m pleased to say, a few shouts from across the road aside, the reception was almost exclusively positive, with many coming over to wish us well, welcome us and almost everyone, unprompted seemed to know why we were there." He added that another protest - "with a twist" - is scheduled for next Sunday.